Natalie Fizio owns and runs Hilltop Veterinary Physiotherapy. In 2011, she gained a BSc Hons in Physiotherapy (human) from the University of Bradford, following which she began the Post Graduate Diploma in Veterinary Physiotherapy run by The University of West of England at Hartpury College. Natalie successfully completed this in June 2013 gaining ACPAT cat A. Chartered Physiotherapist status. She then went on to complete the optional extra year to gain a MSc in Veterinary Physiotherapy. During this post graduate study she began working in the private sector and providing pitch side physiotherapy and first aid for local sports teams. She also completed the Equissage Europe Equine Sports Massage course becoming a Certified Equine Sports Massage Therapist. Since then Natalie has built up her Physiotherapy practice, treating a range of animals (and people!) whilst continually developing her clinical skills. For example, she is now an Equipilates™ Biomechanics Trainer. Natalie is a keen horse rider with over 20 years experience and has competed with success on the local circuits. The experience and knowledge gained during this time mean that Natalie has a great understanding of the demands of Equestrian sports on both the equine and human participants, which is reflected in her physiotherapy work in identifying the root cause of problems and ensuring both members of the team are fit for purpose. 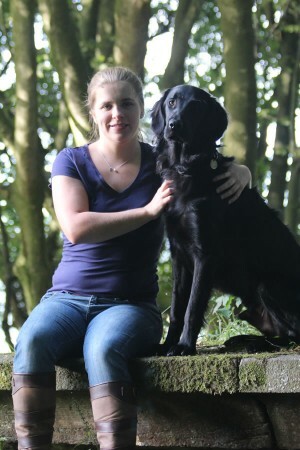 Dogs have also formed a large part of Natalie’s life with a particular love for working and gun dogs. Physiotherapy is the use of movement, manual therapy, education and advice to promote health, facilitate recovery, prolong function, enhance performance and maintain independence. Physiotherapists use a holistic approach, taking into consideration the physical, psychological, social and environmental factors affecting their patients. Hilltop Veterinary Physiotherapy can provide equine, canine and human physiotherapy, the latter two in the comfort and convenience of your own home. From your happy hacker to International competition horses, Natalie can provide treatment and progression plans to ensure they are feeling and performing at their peak. Natalie has undertaken additional training to become an Equipilates™ Biomechanics Teacher and is currently completing the course work to obtain her Advanced certification. Natalie will use both her her clinical knowledge and experience with equestrian sports to provide and individual treatment and home exercise programmes. Cases are often seen after veterinary intervention, for example cranial cruciate surgery but Natalie can also provide performance checks on healthy working and competing dogs. Simply get in touch by email, phone or our ‘online contact form’ and we’ll do our very best to help you out.